The Shazam app for iOS comes with the ability to link your Spotify account so you can stream the music you tag via Spotify directly from the Shazam app itself. 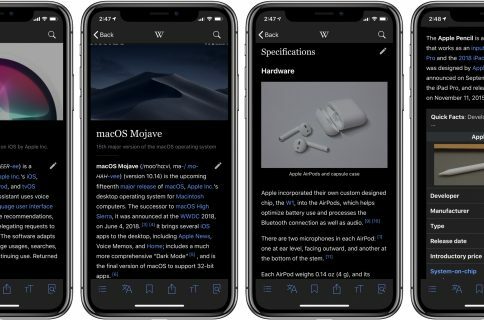 A recent update to the app included a complete rewrite for this feature, so it’s now more stable than ever before. 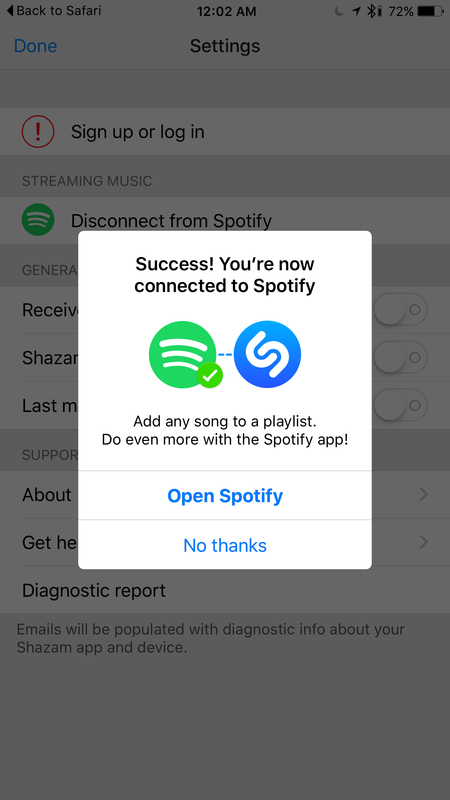 All you have to do is connect your Spotify account to the Shazam app, and the app will take care of the rest for you, allowing you to listen to full tracks in Shazam instead of just 30-second song previews. 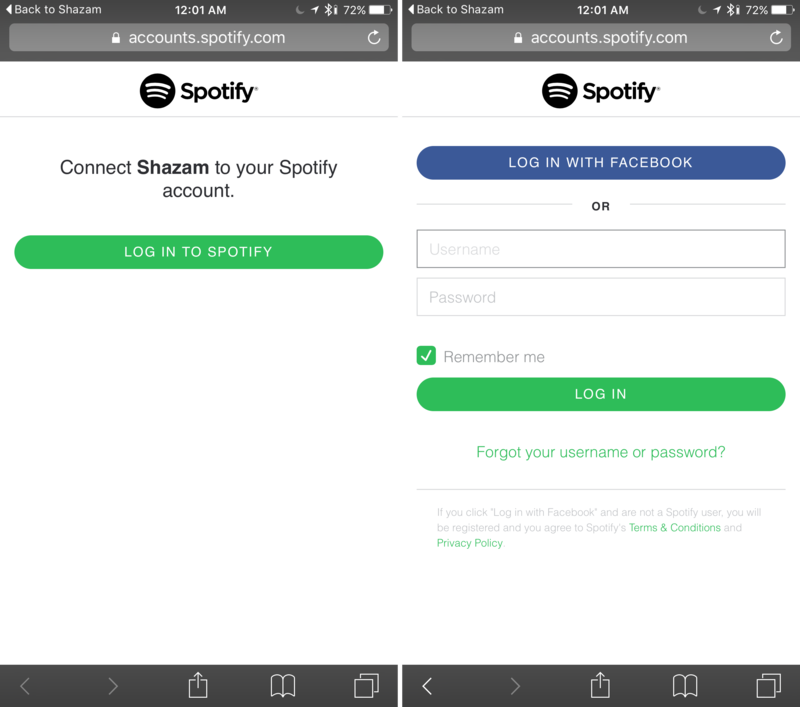 In this tutorial, we’ll be showing you how to link your Spotify account to the Shazam app in iOS. 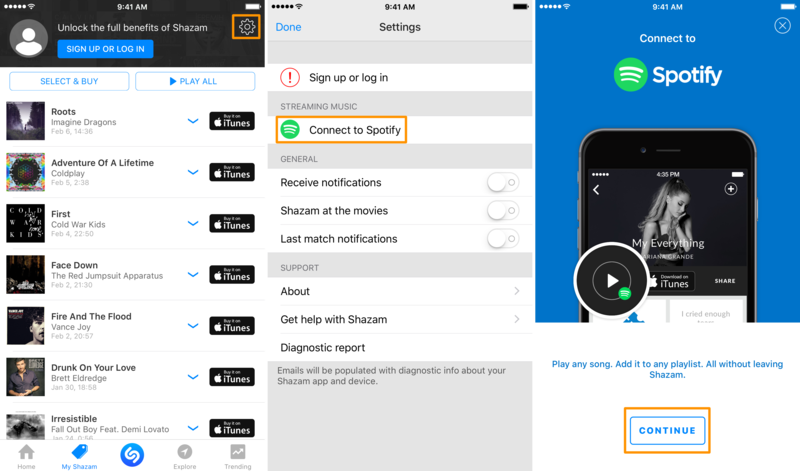 If you use both Shazam and Spotify on your iPhone, iPad, or iPod touch, then you may want to link the two to take advantage of some cool features in the Shazam app. The two apps have functionality built into them that allow the two services to communicate with one another. When you sign into your Spotify account from within the Shazam app, you’re giving Shazam the ability to play music from your Spotify account based on the songs you’ve tagged, which means after tagging a song, you can immediately start playing the entire song right from the Shazam app without having to switch to the Spotify app. Moreover, you aren’t limited to 30-second song previews – you’ll be able to listen to the entire song from start to finish, giving you a much fuller experience in the Shazam app after tagging a song. Of course, one caveat is that a Spotify Premium subscription is required to stream full Spotify tracks, but this probably isn’t going to be a problem for serious Spotify users. So now that you’re aware of linking the two for the benefits, you’re probably wondering how it’s done. Fortunately, the process isn’t that difficult, and we’ll show you how in the steps below. Step 1: Launch the Shazam app and visit the “My Shazam” tab at the bottom of the app. Step 2: Tap on the Settings button at the top right of the app to launch the Shazam settings pane. Step 3: Tap on the “Connect to Spotify” button under the “Streaming Music” section. Step 4: Tap the blue “Continue” button when prompted to connect to Spotify. Step 5: The Safari app will launch on your device and load a Spotify login site – tap on the green “Log in to Spotify” button. Step 6: Log in either with your associated Facebook account, or with your Spotify login details, then tap on the green “Log in” button. Step 7: If your login information checks out, you’ll be told the connection was a success. 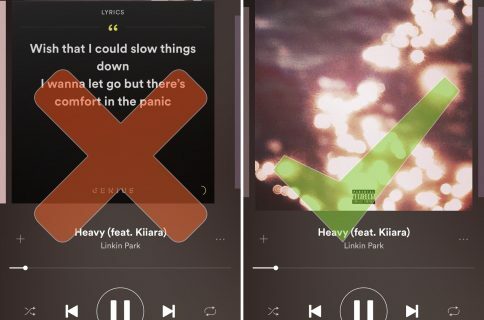 Now that your Spotify account has been linked to your Shazam app, when you attempt to play songs from Shazam you’ve tagged from the app, you’ll see a Spotify icon on the play button indicating that you can listen to the entire song from start to finish in the Spotify app, rather than being limited to shorter 30-second previews of the songs. Another benefit to linking Spotify to Shazam is that when you launch the Spotify app on your iOS device, you’ll see a new playlist called “My Shazam Tracks” that contains all of the music you’ve tagged recently. 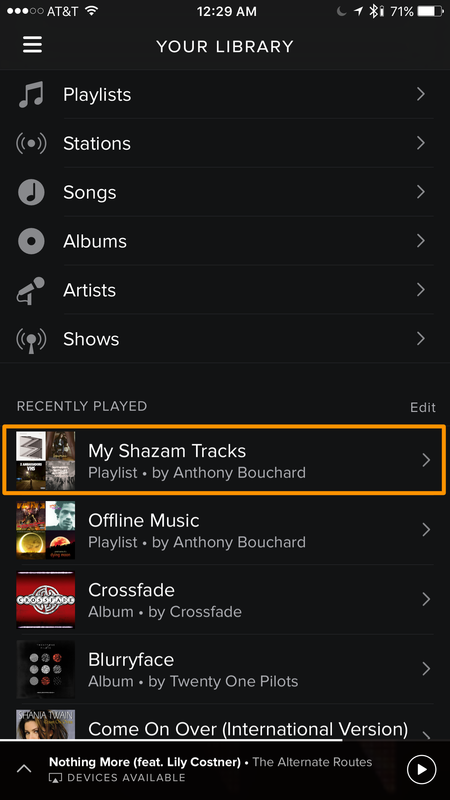 This is a particularly useful feature because rather than going to Spotify and adding these songs to your music playlists manually, Shazam will do it for you, and you’ll already have instant access to your favorite music at your fingertips the next time you launch the Spotify app. This works in both the free Shazam app and the paid Shazam Encore app. You should also have the free Spotify Music app installed on your device when you do this to take advantage of all the features, but remember that a paid monthly Spotify Premium subscription is required to stream full tracks from the Shazam app, which costs $9.99 per month for regular users, or $4.99 per month for students. Music that is saved to your list of playlists in the mobile Spotify Music app also appears in the desktop app if you use Spotify on your computer, so this is something to keep in mind as well. The benefits of connecting your Spotify account to the Shazam app are worth the small amount of time it takes to sign in with these steps, and it’ll vastly improve your Shazam experience if you’re a heavy Spotify user.